Karen Pittman has made a career of starting organizations and initiatives that promote youth development – including the Forum for Youth Investment, which she co-founded in 1998. Karen is a sociologist and recognized leader in youth development with a career spanning appointments with the Urban Institute in the US, with the Clinton administration as the Director of the President’s Crime Prevention Council with Gen. Colin Powell in creating America’s Promise. The Forum for Youth Investment has a mission of moving ideas to impact by leading the charge to create ready youth, ready communities and ready leaders. 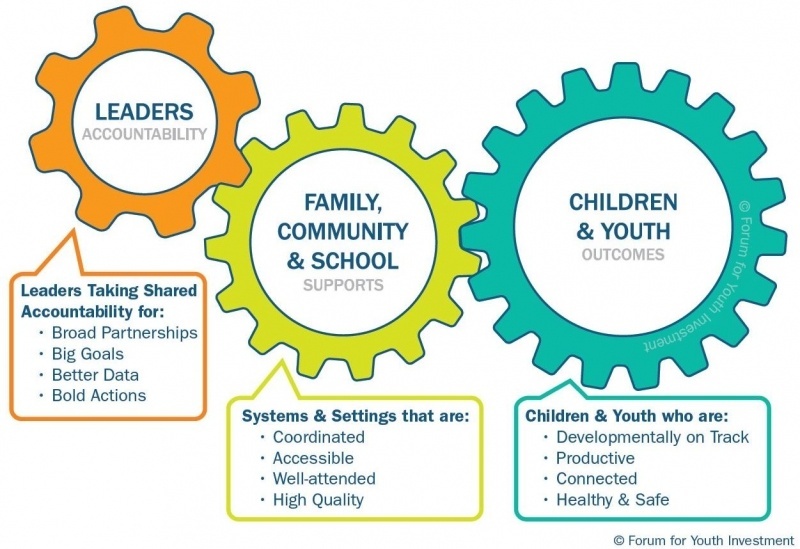 For more than a decade, the Forum for Youth Investment has helped communities map, convene and align coalitions and initiatives focused on the interlocking issues that affect young people's futures, from premature births to college completion.